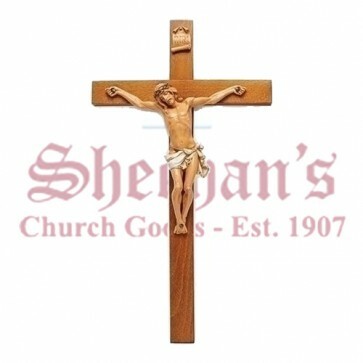 Realistic Crucifix by Fontanini measures 22.5" in length. Corpus made of polymer with attention to detail on wood cross. 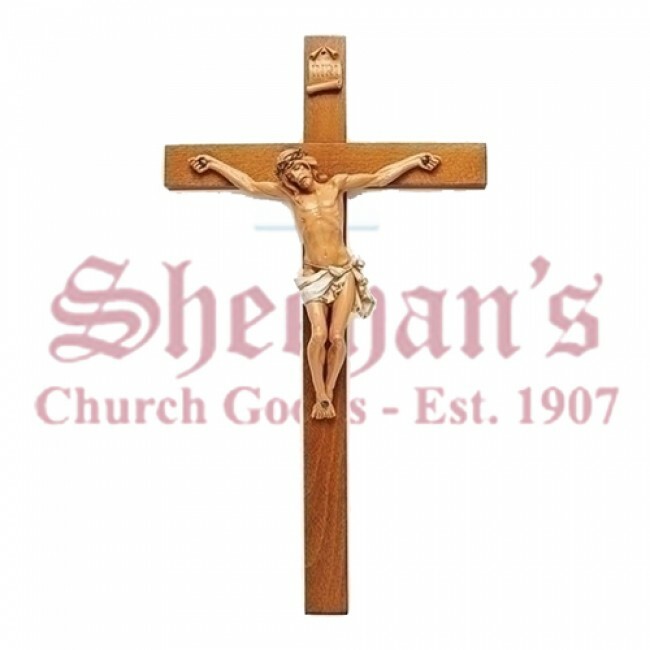 Beautifully detailed to depict the crucifixion of Jesus' sufferings. The Romans used mostly the T cross, the Latin cross, or St. Andrew's cross. Most ancient sources describe the cross Jesus died on as a Latin cross, the type most common in the liturgy of the West. It was common practice among the Romans to scourge the prisoner and to require him to carry his cross to the place of crucifixion. The prisoner was either nailed or tied to the cross, and, to induce more rapid death, his legs were often broken. Crucifixion was abolished when the empire became Christian.